ETAI (http://etai.ie) came about as a spontaneous response from the arts and education sectors to the interdepartmental committee’s findings in Points of Alignment (2008) and the Arts In Education Charter (2013). The Arts in Education Charter, jointly launched and supported by Minister Jimmy Deenihan and Minister Ruairí Quinn, places new responsibilities on government departments, agencies cultural institutions and arts organisations in terms of providing education to children and young people. ETAI became a CLG in 2015.
Who can participate in ETAI? Statutory Bodies, Organisations, Agencies, Networks, Communities, Institutions and any individual, who expresses interest in and a commitment to the development, promotion and practice of arts and education in Ireland within the context of an alliance. Included, among others, in the current listing are; Individuals; School communities; Third level Institutions; Association of Teachers’/Education Centres in Ireland ( ATECI); The Association for Creativity in Arts Education; National Association of Principals and Deputy principals (NAPD); Local Authorities; Youth organisations; Performing arts ,film, theatre, heritage and crafts associations; Literary organisations; Cultural institutions: museums, art galleries etc. If you have an interest in arts and education you will find that participation in ETAI offers you the opportunities to;connect and engage with both the arts and education sectors in a variety of contexts;share experience and expertise across the disciplines;share and develop professional practice;re-conceptualise approaches to current arts and education practices, which aim to broaden and deepen children’s/young people’s access, creativity, participation and engagement in the arts;deepen individual and community understanding of arts and education;to contribute to mutually beneficial developments in arts and education. 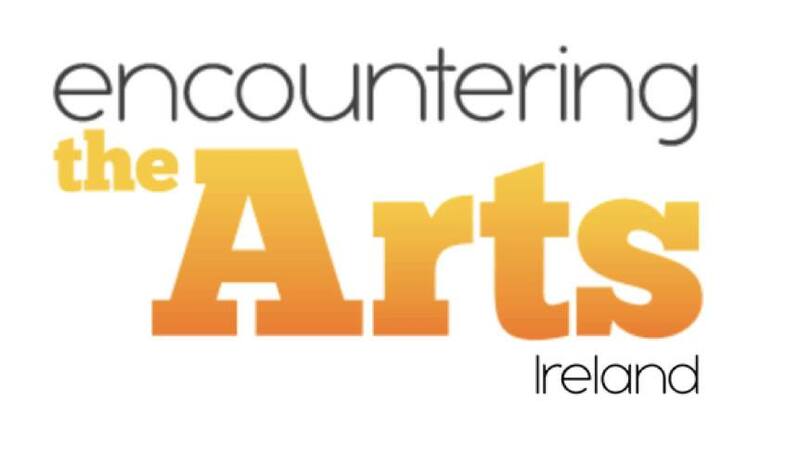 ETAI ENCOUNTERING THE ARTS IRELAND LIMITED (ETAI) is an alliance of organisations and individuals that exists to promote the development, promotion and practice of the arts and education in Ireland particularly in the context of arts and education for children and young people. ENCOUNTERING THE ARTS IRELAND LIMITED (ETAI) employs its combined strength, resources and expertise to broaden and deepen children’s/young people’s access, creativity, participation and engagement in the arts and to increase and enrich encounters at the cross roads of education and the arts. It engages in strategic planning which fosters and promotes progressive and sustainable partnership practice in arts and education potentially increasing personal and civic engagement. ETAI CLG is a voluntary body and membership is open to any Organisation or Individual who has an interest in and is committed to the aims and mission of ETAI. ETAI exists to connect people in the arts and education communities throughout the island of Ireland. We are committed to maintaining the trust and confidence of ETAI members, visitors to our website, and those who avail of our services,ticket buyers, subscribers to our newsletter, subscribers to our publications, donors, teachers and artists. ETAI is committed to protecting the privacy of users of our website in accordance with the Irish Data Protection Acts 1988 and 2003. We take all reasonable precautions to prevent the loss, misuse or alteration of Personal Data volunteered through the website. We also employ appropriate physical and technical security measures, conduct staff training and generate awareness and undertake regular reviews of these responsibilities. It should be noted however, that Internet transmissions are never completely private or secure. Data Subject (or User) –Data Subject is any living individual who is using our Service and is the subject of Personal Data. • your details are passed onto us by a shared service provider. Expression of interest statements or your opinions about an event, product, service or an issue. You can change your contact preferences or withdraw consent at any time by emailing etai@poetryireland.ie or contacting ETAI at Poetry Ireland, 11 Parnell Square East, Dublin 1. We will use your personal information to provide you with the services, products or information you have requested, for administration purposes, to improve our services and to further our artistic, educational and charitable aims, including for fundraising activities. We may need to share your information with trusted service providers, associated organisations and agents for these purposes. You will be asked for personal information when you become a member, make an enquiry, buy a ticket, subscribe to our newsletter, subscribe to ETAI Review, buy a product or service, enter a competition, make a donation, become a Poetry Patron, avail of our Writers in Schools Scheme or take a survey. Details on these interactions can be found below. The number of visits which shows the traffic of users around this website (for example pages accessed and documents downloaded). By using and browsing the ETAI website, you consent to cookies being used in accordance with our policy. If you do not consent, you must disable cookies or refrain from using the site. When someone visits the ETAI website we use a third party service, Google Analytics, to collect standard internet log information and details of visitor behaviour patterns. We do this to find out things such as the number of visitors to the various parts of the site. This information is only processed in a way which does not identify anyone. We do not make, and do not allow Google to make, any attempt to find out the identities of those visiting our website. Many of ETAI’s events are presented in partnership with other artistic organisations and promoters. We will let them know about your booking and share your name and contact details with them but they can’t contact you unless you opt-in to hear about news, events and offers from partner organisations at the time of booking. We will not share sensitive information or your payment details. ETAI has a number of social media accounts and will further develop activity on accounts such as Twitter, Facebook, Instagram and YouTube. Our website may include links to a high number of third party websites, particularly in the proposed opportunities for artist/teachers section where we facilitate an online notice board for competitions, calls for submissions and other opportunities. ETAItakes no responsibility for the privacy, security or content of these third party links. If you ask us to advertise an opportunity your behalf, in doing so you consent to us making publicly available online the contact details and any personal data provided to us in order to promote the opportunity. We will also record your personal data when you apply for a job or internship, apply for one of our schemes or competitions for artists and or teachers, make an enquiry or comment about our products, events or services, or when you contact us as a an artist or teacher to tell us about your own work, launches, or events. We will only use this data for the purpose for which it has been provided, unless you specifically request otherwise. You are entitled to view, amend, or delete the personal information that we hold. Email your request to us at etai@poetryireland.ie or call us on. Article 4 (12) of the General data protection Regulation (“GDPR”) defines a data breach as: “a breach of security leading to the unlawful destruction, loss, alteration, unauthorised disclosure of, or access to personal data transmitted, stored or otherwise processed.” Where data is misdirected, lost, hacked or stolen, inappropriately accessed or damaged, the incident is properly investigated and reported, and any necessary action is taken to rectify the situation. Suspected data security breaches should be reported promptly to the Data Protection Officer (DPO) as the primary point of contact at email: etai@poetryireland.ie The report must contain full and accurate details of the incident including who is reporting the incident [and what classification of data is involved]. All data security breaches will be centrally logged by the DPO to ensure appropriate oversight in the types and frequency of confirmed incidents for management and reporting purposes.